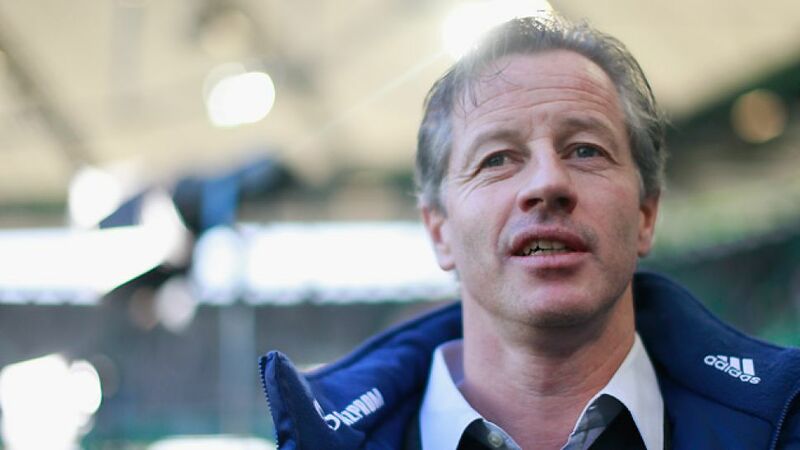 Munich - FC Schalke 04 head coach Jens Keller was full of praise for his side after their resounding 4-1 win on the road against VfL Wolfsburg, a result which moved the Royal Blues back into the European qualification places. Here's an overview of his Bundesliga counterparts' reactions to Matchday 24. Norbert Meier (Fortuna Düsseldorf): "We can't be completely satisfied because on the balance of play we had the better chances. Unfortunately, we weren't able to build on our early lead. Conceding the equaliser just before half time was also a bit of a shock to the system. We'll take the point but we could have had all three." Thomas Tuchel (1. FSV Mainz 05): "We conceded a goal after six minutes and when you do that it's never easy. It was a very tough match today, which I was expecting. That said, in terms of the quality it was nothing to write home about." Marco Kurz (1899 Hoffenheim): “We saw a committed team today, who never gave up. The players didn’t stop running and we looked capable of scoring in the first half. I’m not thinking about the second division at the moment. We have to get used to playing with that kind of fight against a side who aren't Bayern Munich. Today’s display is a good foundation for the next few weeks." Dieter Hecking (VfL Wolfsburg): "Schalke’s win today was undoubtedly deserved. We lacked consistency, especially at the back. It wasn't what we had imagined for ourselves. We didn’t show the necessary compactness or discipline on the day to be able to compete with a strong side like Schalke. Our focus now needs to turn to the teams below us in the table." Jens Keller (FC Schalke 04): "We delivered an outstanding performance and deserved to win. We were in the match from the very first whistle and created a whole host of chances for ourselves. Even in the first half, we should’ve had a bigger lead." Sami Hyypiä (Bayer 04 Leverkusen): "Stuttgart made life incredibly difficult for us. Our performance in the first half wasn’t quick or clinical enough, but we maintained the tempo through the 90 minutes and tried everything possible. I’m delighted that we showed character and managed to win the match." Bruno Labbadia (VfB Stuttgart): "The loss is a bitter pill to swallow for us. You can’t say Leverkusen’s win wasn’t deserved, but we could’ve come out on top as well. We put in a huge defensive effort, but unfortunately weren’t able to close out the match with two really good opportunities in the second half." Jürgen Klopp (Borussia Dortmund): "We got ourselves into the game really well and demonstrated again that we're a side who love to play. After we made it 3-1 the match had run its course. In terms of an attacking spectacle, it was a very good encounter." Mirko Slomka (Hannover 96): "It was a well-deserved and clear-cut victory for BVB. We wanted to show ourselves in a different light from our DFB Cup defeat here. We couldn’t get a grip on the match though and were only able to carve out a few half-chances." Armin Veh (Eintracht Frankfurt): "In the first half we gave very little away, but didn't create much ourselves either. After the interval it was like a handball match. It’s annoying to lose against a side that play so destructively." Lucien Favre (Borussia Mönchengladbach): "We played really well in the first half. In the second 45 it was a lot more difficult. We had to put in a lot of effort to retain possession. Winning 1-0 is really important. We’re still taking things game-by-game though, and will continue to compete for every available point."